Getting an approval for truck loan Edmonton is not quite like getting an approval for a car loan, especially if you are an owner-driver with unique needs. Below are the top tips to getting truck loan approved. As mentioned before, truck loan is not quite like a car loan, it is more like a business loan. People don’t just drive trucks. Trucks have a unique business purpose most of the time.A curtain-sider is a great choice if you are transporting non-perishable loads long distances. And, a semi-trailer is perfect for a suburban mover. 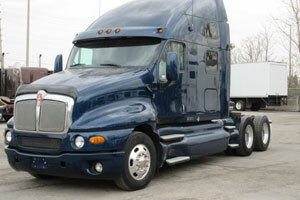 It is important to approach your application for a truck loan like a business plan. Without a proper plan to pay back the loan, approval can become quite difficult. All trucks have a life cycle. If you buy a truck that’s near to the end of its life cycle, you are increasing the chances of your vehicle to break down beyond repair. This means lenders will be a bit skeptic about lending to you. Some trucks might need hefty repairs and maintenance to bring it up to functional condition. It’s not worth the money and hassle – lenders realize that too. With any investment in life, you have to set a budget within your limits. The truck of your choice should be able to return a profit, not give you hassles. Lenders will not consider those people who purchase trucks that are unnecessary for the job and give their business operations a trouble. This especially goes for the first truck buyers. The more research you do and the more efforts you can put, the better. Look for trucks with increased fuel efficiency and aerodynamics. This will mean more savings to pay back the loans. It is recommended to have some sort of pull-back position if your truck runs out of commission for a longer period of time. One of the best methods is to have sufficient savings. Another method is taking out the right insurance policy which offers coverage for all these probabilities. You may already have income protection insurance, which gives lenders an assurance when lending assets for trucks. At Canada Equipment Loan Ltd., we want to ensure transport companies can get easy truck financing Edmonton to keep their revenue flowing and their business growing. Contact us today to discuss your requirements.